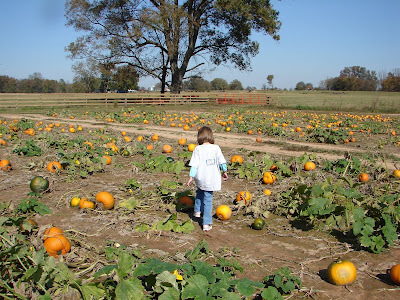 Rebekah's Pre-K class was supposed to go to the pumpkin patch on 10/30. Because of all the rain we had, it had to be postponed to this past Wednesday. I was able to go and be a part of all the fun! Here are some photos from the day. 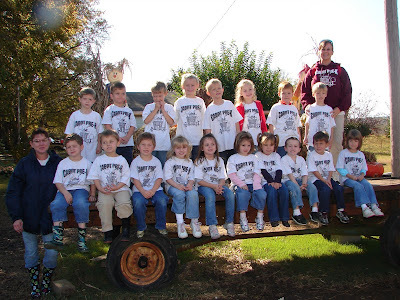 This is Rebekah's class and her teacher, Mrs. Spaulding on the far right and the teacher's assistant, Mrs. Hoover, on the far left. 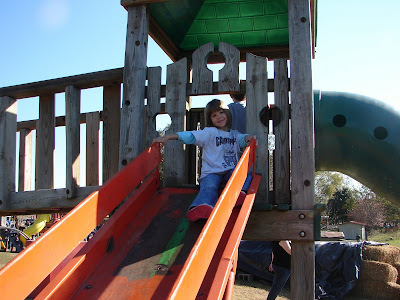 When we first got there, the kids played on all the play equipment for a little while. Rebekah liked this slide because it was fast! 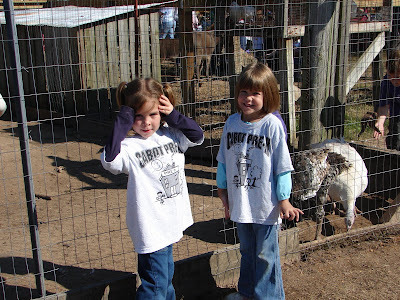 This is Rebekah with her friend Madison. Those are turkeys behind them! 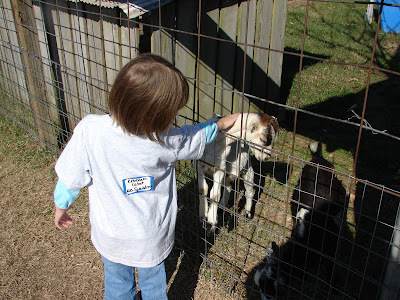 Rebekah loved the goats. She wanted to pet them forever. This white one was so calm and loved to be petted. Here is one of the smallest pigs I have ever seen. 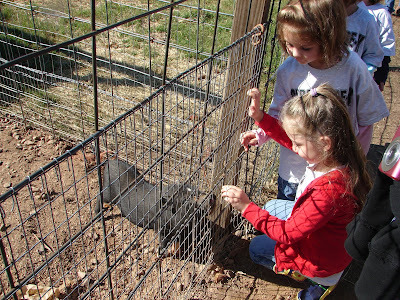 After seeing the animals, we had a picnic lunch and then went on a hayride out to the pumpkin patch. They still had lots of pumpkins to pick. Each kid got to pick one pumpkin - but it had to be small enough for them to carry. The adults were on strict orders that we couldn't help them carry their pumpkins! Not to worry with Rebekah, she picked one of the smallest pumpkins out there! It was a beautiful day and a fun trip!